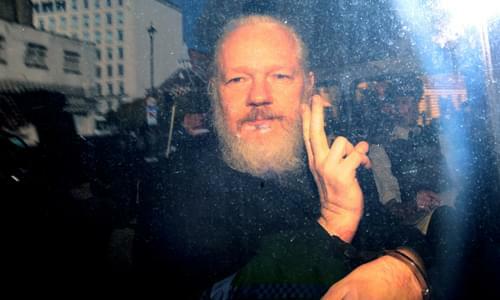 On Thursday’s Mark Levin Show, Julian Assange is charged for effectively conspiring to break and enter government property to steal U.S. government secrets. That is not protected under the first amendment because that is not journalism; he is not a hero. Also, others in the media continue their obsession with Fox News because they cannot tolerate intellectual diversity so they go after them and try to destroy them. It’s nearly impossible to tell the editorials from the news in the New York Times, and the opinion commentators from the news anchors on CNN. Then, the New York Times and Washington Post won a joint-Pulitzer Prize for their erroneous coverage of the now-debunked Russian collusion scandal. Later, Michael Avenatti was accused today of hiding a $4 Million settlement from a paraplegic client using a series of shell companies and did similar with other clients’ settlements that never reached the client. Afterward, Congresswoman Ilhan Omar trampled the memories of fallen 9/11 victims and her freshman colleagues defended her and blamed those criticizing her comments as racists.